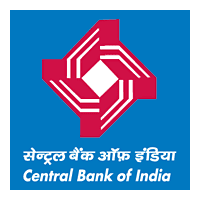 Central Bank of India - CBI published an official notification for Recruitment of Incharge / Counselor FLCC posts. Eligible candidates can apply for this recruitment. You can view more details about this recruitment including No. of posts, name of post, Educational qualification, Age limit, Selection process, How to apply etc... You can also view official notification and other important facts about this recruitment e.g. Important links and Important dates. Education Qualification: Graduate / Post Graduate degree from a UGC recognized University. Officers with rural development background i.e. Agriculture Finance Officer / Rural Development Officer / Agriculture Officers converted to Mainstream of banking / Lead District Managers and Faculty leaders / Faculty members of Training Centers / Colleges with specialization in Rural Development etc. shall be preferred. Experience: Candidate should have retired on VRS or on attaining superannuation with minimum 20 years of service of which at least 15 years in Officer Cadre. He should have worked as Branch Manager in any scale in a rural branch for at least 3 years OR as AFO (Agriculture Finance Officer) in a Rural Branch for a period of 3 years. He should have unblemished record and possess satisfactory service certificate from the previous employer. Should be well conversant with local language. Should have retired from Scale-II & above for FLCs. Should be resident of the same State, preferably same or nearby district. The contract amount shall be paid an amount equivalent to last pay & allowances drawn less the initial amount of Pension fixed before commutation plus relief etc. payable thereon or Rs. 15,000/- p.m. whichever is lower Further a lump sum amount of Rs. 500/- p.m. shall be paid towards Mobile, Conveyance etc. However, the condition of “Last Pay & Allowance drawn by the Officer less the initial amount of pension fixed before commutation plus relief etc.” will be applicable only to the pension co-opted retired bank official of a Nationalized Bank and in case of non-pensioner, the candidate will be eligible only for Rs. 15,000/- p.m. together with lump sum amount of Rs. 500/- towards Mobile, Conveyance etc. Please note that no other benefits or charges shall accrue or be payable. Reimbursement of TA/DA for traveling as per requirement of the post shall be made as per revised rate Rs. 300/- per day and travelling expenses to be paid on actual basis. No Diem allowances / reimbursement shall be payable where vehicle is provided. Eligible candidates have to submit their applications in the given format. Address the application, Superscribing “Application for the post of Recruitment as Incharge /Counselor of FLC on contract” to Sr.Regional Manager, Central Bank of India,Regional Office, 37/2/4 1st floor,Sanjay Place Agra Distt.Agra(UP)Pin 282002.